Kimberly Corrigan-Dankworth attributes her expertise in performing state-of-the-art dental procedures to her lifelong love of learning. Dr. Corrigan-Dankworth earned her dental degree from the University of the Pacific. Since then, she has continued to hone her natural talent for dentistry with rigorous continuing education programs in her field. Along with her husband, Dr. Stephen Dankworth, Dr. Corrigan-Dankworth entered private practice in 1984. She established Oceanside Dental Excellence in Oceanside CA as a center for patients seeking knowledgeable dental care from a dedicated San Diego cosmetic dentist. Dr. Corrigan-Dankworth has trained with some of the most prestigious dental organizations and is fast becoming known as a leading dentist in both cosmetic and sedation dentistry. 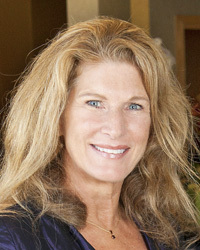 Dr. Corrigan-Dankworth values the relationships she has with her patients and the Oceanside Dental Excellence staff. She enjoys interacting with patients so that she can set them at ease and provide them with the best dental care possible. After more than 20 years practicing in Oceanside as a cosmetic dentist, Dr. Corrigan-Dankworth has learned how to make apprehensive patients feel comfortable. Patients who require extensive dental treatment also come to Dr. Corrigan-Dankworth for reconstructive dentistry that restores the smile’s function and aesthetic appeal with the comfort of sedation. The Dankworths are involved members of the Oceanside community. Using her skills as a cosmetic dentist, Dr. Corrigan-Dankworth assists adults who have fallen on hard times by improving their smiles with porcelain veneers and dental bridges to help them succeed during job interviews. Additionally, Dr. Corrigan-Dankworth raises funds for needy children through her participation in the Crown Council. A mother herself, Dr. Corrigan-Dankworth participates in school fundraisers and is an enthusiastic volunteer in the Booster Club. She also enjoys skiing, walking, biking, and working on photo albums with her daughter.